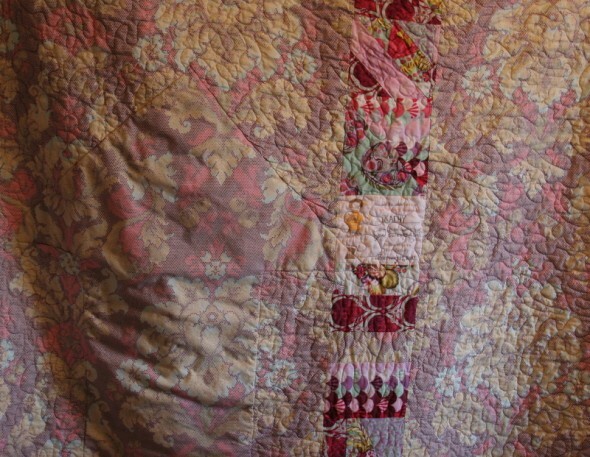 Other posts on this project: Parisville Quilt Pt. 1, Parisville Quilt Pt. 2, Parisville Quilt Pt. 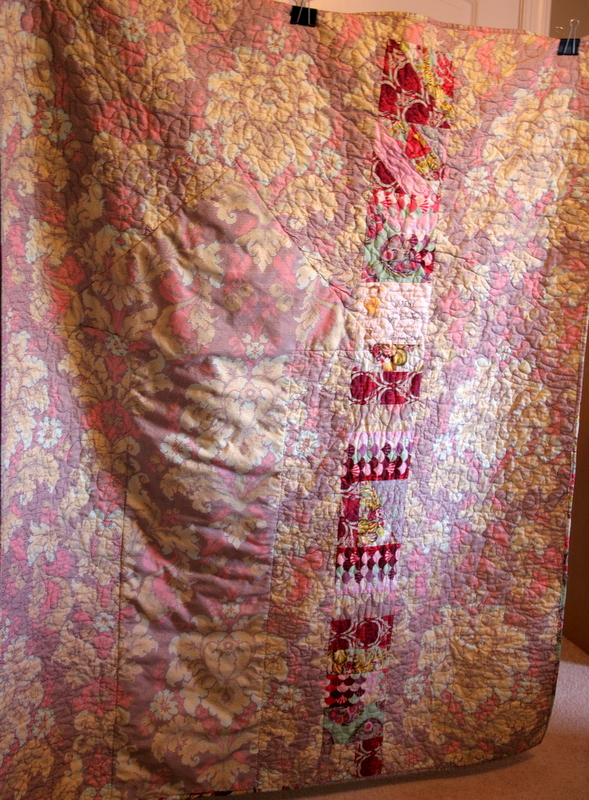 3, Parisville Quilt Pt. 4. I so wish I’d taken better photos of this finished quilt, especially since I’ve been holding on to it since February 2013–which is when I finished it! My friend Kathy and I have birthdays two weeks apart, and that’s what this was originally for last February. I’ve seen her a couple of times since then, but we’ve either held off on exchanging presents or I’ve forgotten it completely. This is a testament to the kind of close friendships you can have in your thirties…you might not see each other as much as you see your friends in your 20s (we keep the love alive with snarky texts and Facebook comments), but you can deliver a gift almost two years late and still get hugs and love for it. We always pick up where we left off in the conversation. I should have gotten proper photos when the weather was warmer, but of course I waited until I was getting ready to leave and deliver this gift as a Christmas present. Anyway, I’m so excited to share the finished quilt. I actually really love this one. 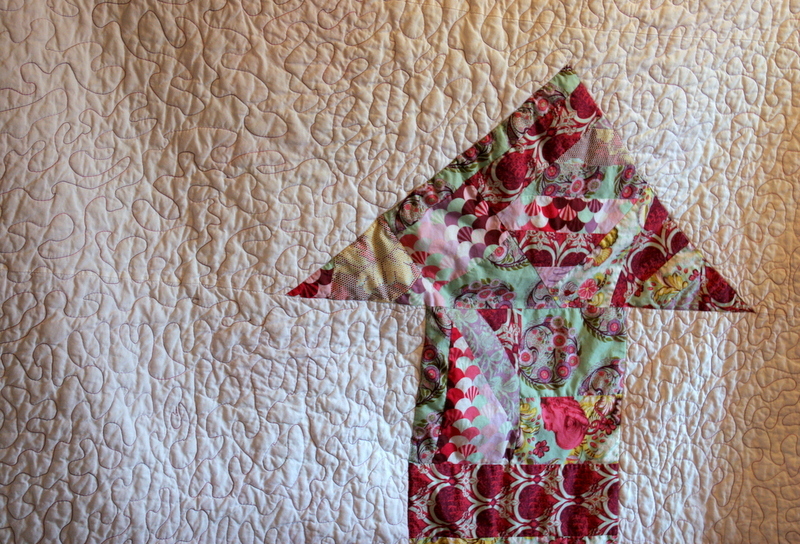 I love the patchwork arrow (as opposed to the applique double arrows in Quilts from the House of Tula Pink). 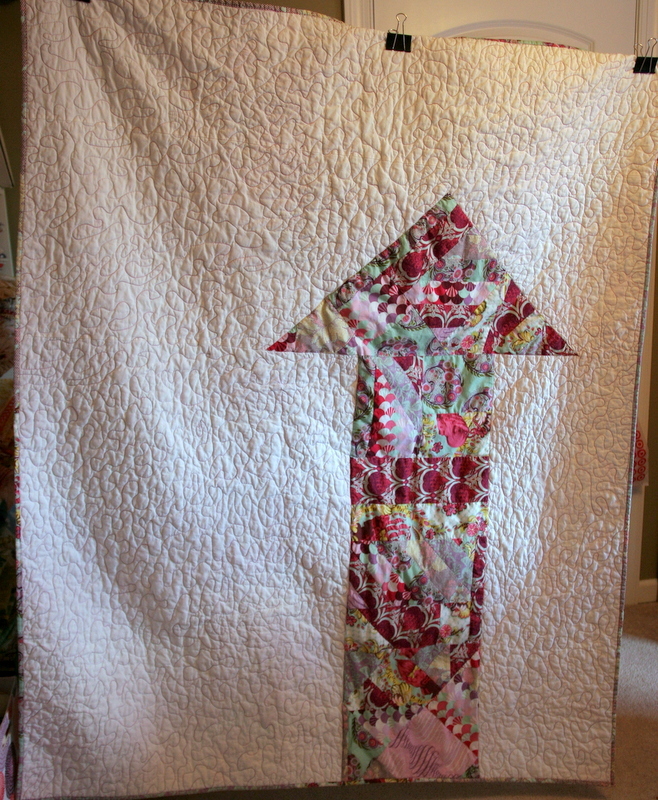 I love that I only quilted the white. I love the back. Kathy’s a really amazing music journalist. Google Kathy Iandoli, you’ll see her stuff everywhere. She’s even doing some TV these days. I decided on the arrow design for her after she had her first piece in Rolling Stone. The message on the back says there’s only one direction for her…up. I’ve known her since we were newbie college graduates working in a beige cubicle together and dreaming about what we would do with ourselves when we grew up. It’s indescribably cool to see what she’s achieved, and she’s still one of my own biggest cheerleaders. So…this was a special one, and I’m glad it finally got delivered in person. I am not glad my photos are less than amazing, boo! What a great quilt for a great friend. Love the theme with the arrow. She will Love it!